The Skilled Worker stream helps Nova Scotia employers recruit and hire foreign workers and international graduates whose skills are in limited supply in the province. 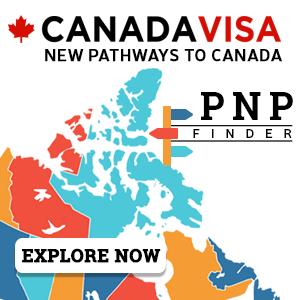 The Nova Scotia Nominee Program (NSNP) Skilled Worker Stream provides a Canadian immigration pathway to foreign nationals with the required skills for positions that the province has not been able to fill with a permanent resident or Canadian citizen. The Skilled Worker Stream is not an Express Entry-linked Stream, which means foreign nationals can apply for Canadian permanent residence even if they are not eligible to enter the federal Express Entry pool. The Nova Scotia Office of Immigration (NSOI) does not provide a specific occupation or skills shortage list for the Skilled Worker Stream. However, the NSOI utilizes the National Occupational Classification (NOC) to distinguish between three occupation types: Skilled Workers, Semi-skilled, and Low-skilled Workers. This category is for individuals with experience in an occupation classified as NOC level 0, A or B, also known as skilled occupations. Priority is given to these highly skilled applicants. 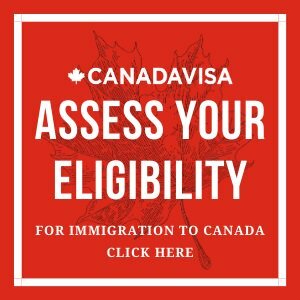 This category is for workers whose occupations are classified as NOC level C. Applications in this category will only be considered if all eligibility criteria are met and the applicant has worked for at least six months with a Nova Scotia employer that is supporting his or her application for permanent residence. This category is for individuals whose occupations are classified as NOC level D. Applications in this category will only be considered if all eligibility criteria are met and the applicant has worked for at least six months with a Nova Scotia employer that is supporting his or her application for permanent residence. There must be a strong sense of support from an employer, such as contribution to the immigration fees, accommodation/housing, language training, and career training plans. The NSOI does not consider applications from individuals on a federal post-graduation work permit whose occupations are classified under NOC D.
If applying from outside Canada, provide proof of legal status in their current country of residence. Internationally recognised test results to prove a CLB/NCLC Level 5. Demonstrate sufficient settlement supports and financial resources to cover immigration costs and travel expenses (if applicable) and to successfully establish yourself in the province. three advertisements and related information that meet the conditions outlined. Have a history of good workplace and business practices, and must be compliant with all applicable laws and regulations. The principal applicant must gather and prepare an application package based on the document checklist provided by the NSNP. The supporting employer must prepare an Employer form. The application is assessed by the NSOI beginning with a completion check. During the assessment, the NSOI may request an interview with the applicant and/or contact the employer to gather information or for clarification. If approved, the applicant will receive a letter from the NSOI to confirm their nomination. If the application is being considered for refusal, the applicant (or their representative) will be issued a letter of intent to refuse. The applicant has 10 business days to provide additional information to the NSOI. Nominated applicants may chose to apply for a temporary work permit or the renewal of an existing work permit with the support of the NSOI. The letter of support replaces the LMIA in applying for the new work permit. The work permit allows the applicant to continue working in Nova Scotia while the application for a Canadian permanent resident visa is being processed. The applicant must submit a complete application for a permanent resident visa within 6 months of obtaining a Letter of Nomination. IRCC makes the final decision on the granting of permanent resident visas based on an applicant continuing to meet the eligibility requirements and passing the medical, criminality or security checks. Once a Confirmation of Permanent Residence is issued to the applicant, his or her spouse and dependents, the applicant must contact the NSOI within 30 days of arriving in Canada. basing your application on a job offer where you are intending to start a business and/or becoming self-employed in Nova Scotia.